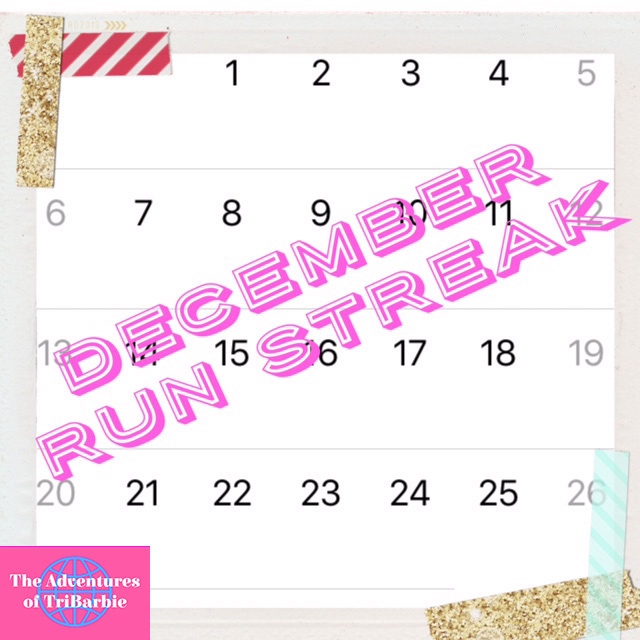 Many people take part in run streaks all year round, some for a month or the most popular option from Thanksgiving to Christmas. I really liked this idea and thanks in part to my SOAS teammates, I have decided to take part and complete my own run streak! Unfortunately mine will have to take place beginning the month of December as I was incredibly lucky to get sick during Thanksgiving. So from December 1st to the 31st, I will make sure to run at least 1 mile per day on top of getting in my biking, swimming, and strength training sessions. I will make sure to check in every day on Instagram and twitter to hold myself accountable and at the end of December will calculate how much I ended up running. Maybe I will even extend the streak to end on my birthday in January where I will swim for 29 minutes, bike 29 miles and run 2.9 miles to celebrate turning 29 ;). What goals are you setting for yourself this last month of 2015? Are you taking part in your own streak? Share in the comments below!